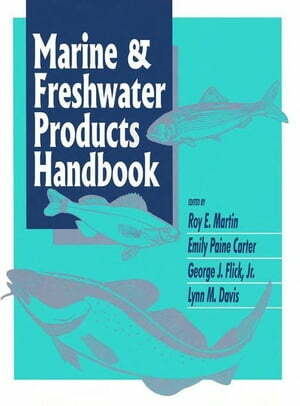 Collins Booksellers - Marine and Freshwater Products Handbook by Martin, Roy E., 9781482293975. Buy this book online. Comprehensive handbook of seafood information! This definitive reference is the most comprehensive handbook of information ever assembled on foods and other products from fresh and marine waters. Marine and Freshwater Products Handbook covers the acquisition, handling, biology, and the science and technology of the preservation and processing of fishery and marine products. The array of topics covered includes: aquaculture fisheries management, and harvesting o fish meal and fish oil o fish protein concentrates o seaweed products o products from shell o other industrial products o bioactive compounds o cookery o specialty products o surimi and mince o HACCP o modern processing methods o religious and cultural aspects of water products o marine toxins and seafood intolerances o contamination in shellfish growing areas o pathogens in fish and shellfish. Marketing, transportation and distribution, retailing, import and export, and a look to the future of the seafood industry are also addressed. All major marine and freshwater finfish species are covered, as well as processing technologies: fresh fish, preserved fish, finfish processing, and other processed products. Crustaceans and other useful marine and freshwater species and their processing are also covered. These include: mollusk o clams o oysters o scallops o abalone o squid o shrimp o lobster o crawfish o crabs o eels o turtles o sea urchin o octopus o snails o alligator.